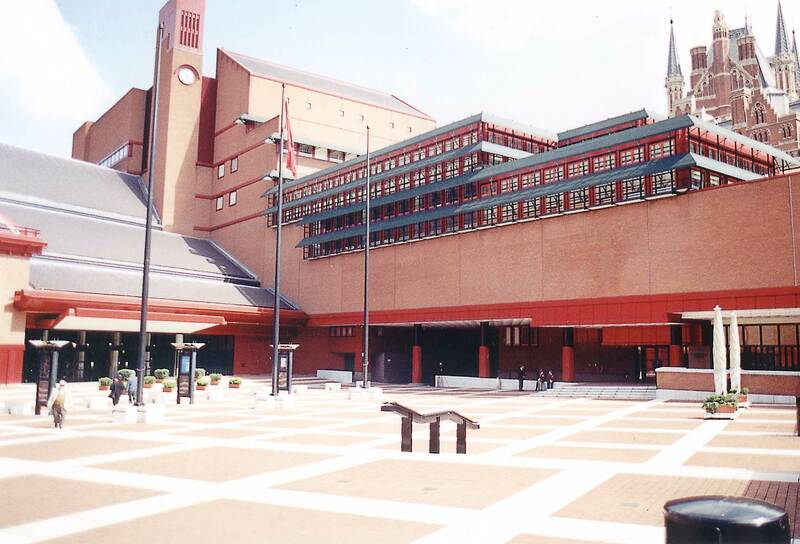 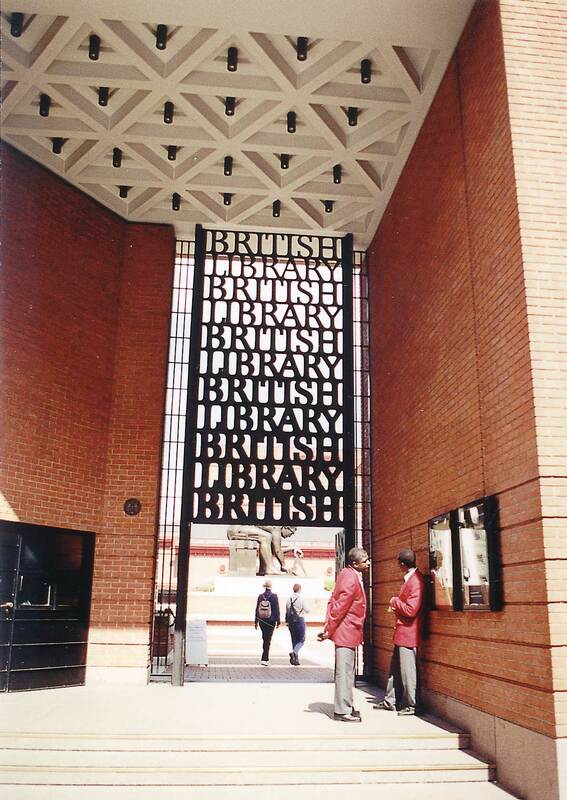 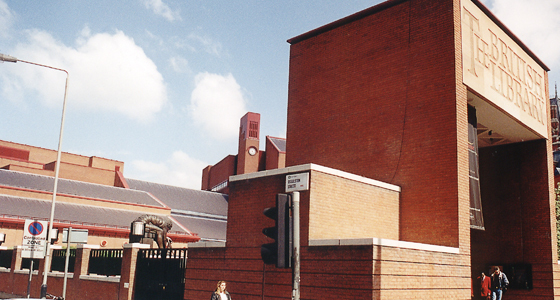 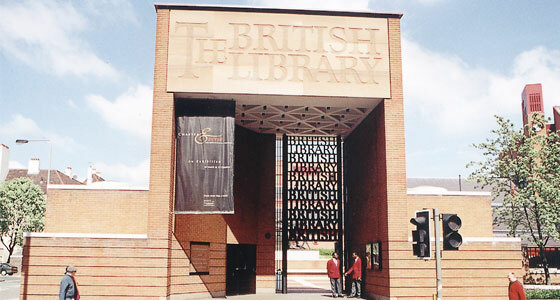 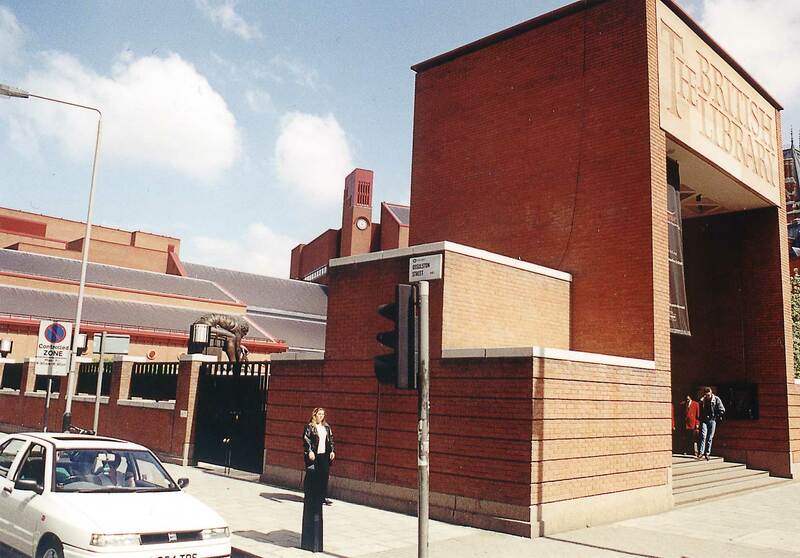 While the railway stations next door use their architecture to announce themselves, the British Library [note designed by Colin St John Wilson from 1978 onwards, the building was not opened until 1997] sits back from the road and is approached through the dramatic gates and across an enclosed garden. 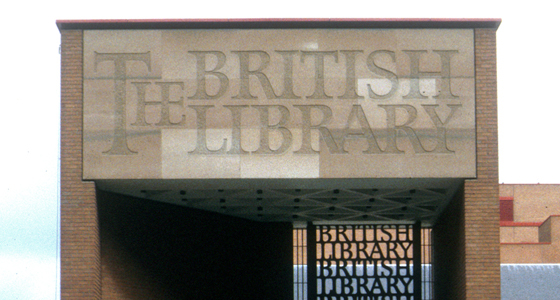 The large lintel of the gatehouse features carved, raised letters on red sandstone. 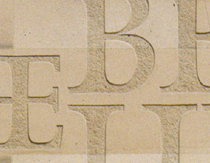 The work of David Kindersley’s workshop, its individual letters and words are well-formed, but the composition as a whole is fatally flawed because the over-large definite article dominates quite unnecessarily. 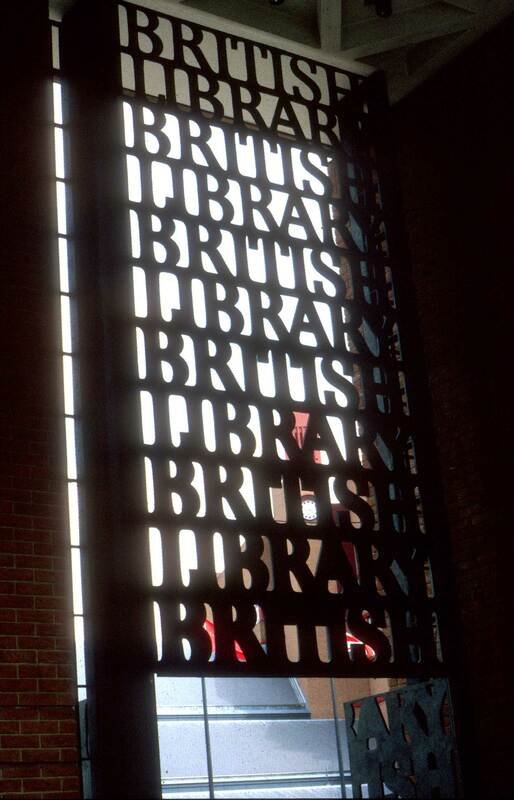 But below, the gates themselves, cut out of heavy sheet steel, are much more successful: they do not contain lettering, they are lettering. 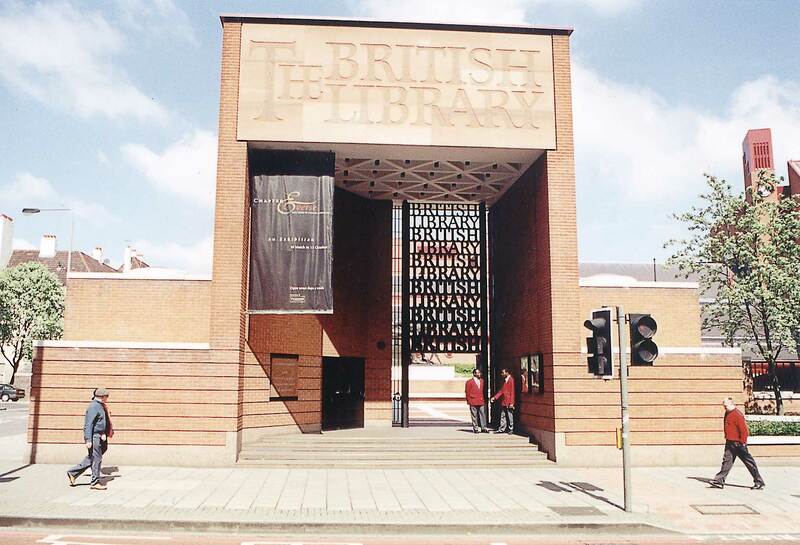 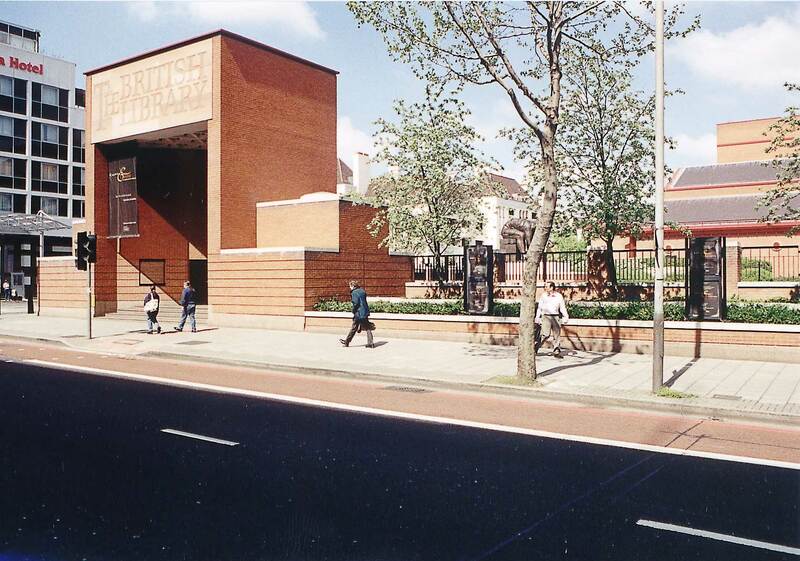 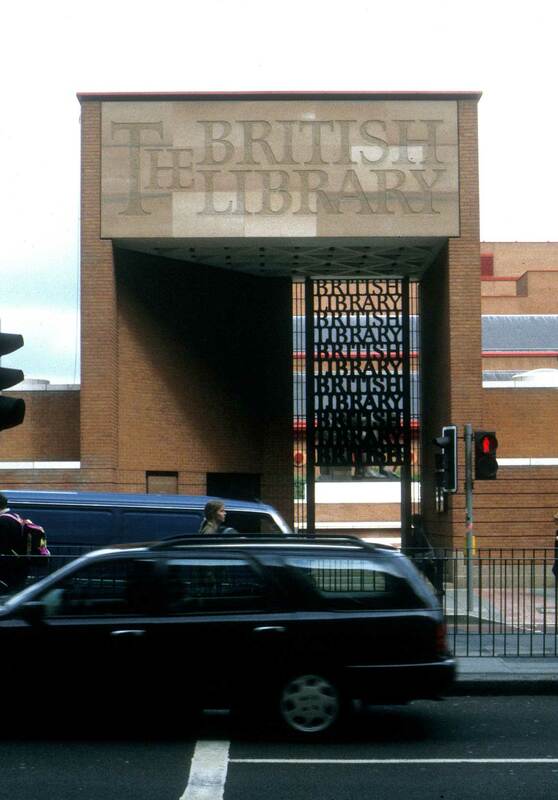 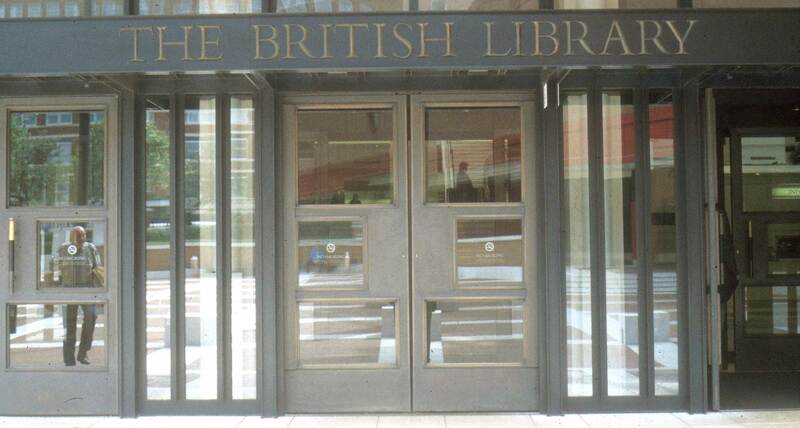 British Library is repeated and progresses from ‘light’ to ‘ultra black’. 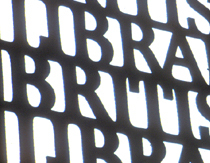 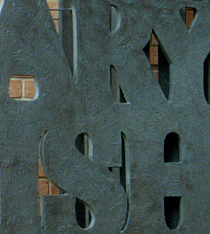 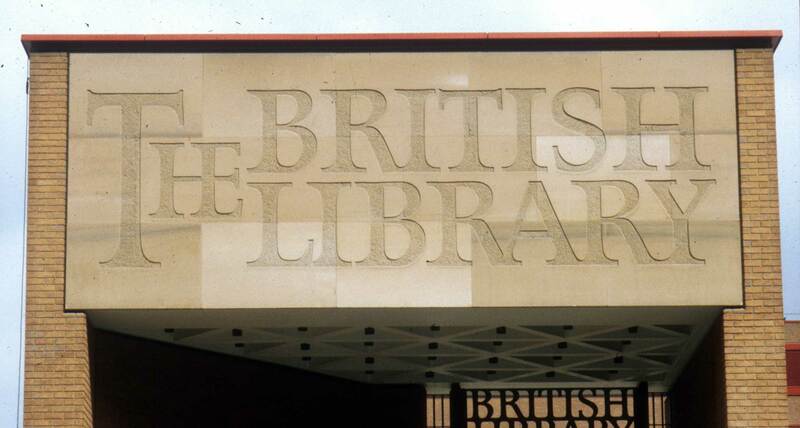 Beyond the gatehouse and across the courtyard, all the library’s internal signage was designed by Pentagram under the direction of Mervyn Kurlansky. 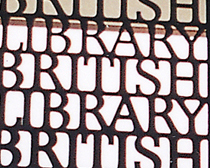 It uses the typeface Bembo and is useful only as an example of how not to space capital letters. 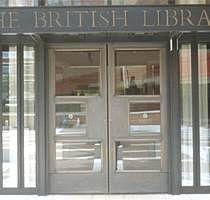 Click to download the original image. 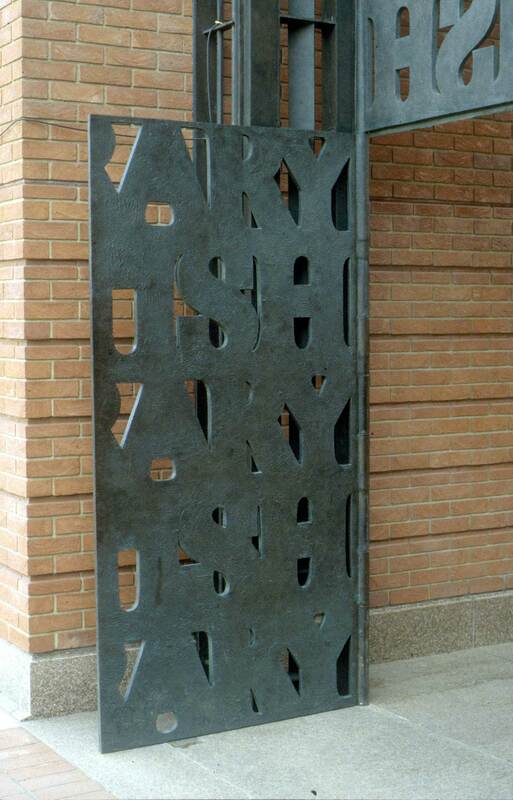 The upper part of the gates forms a screen. 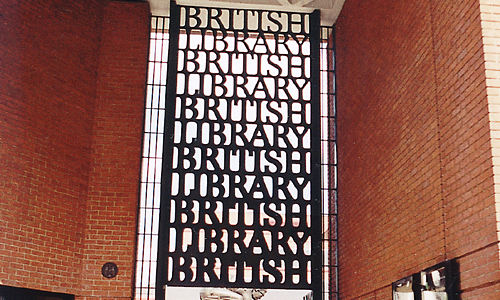 Entrance doors with the name in a v-section steel version of the typeface Bembo. 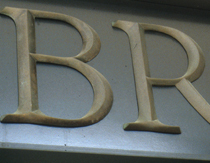 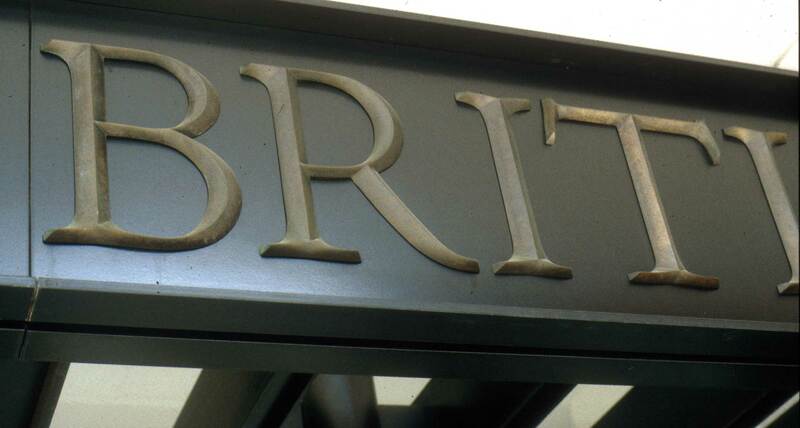 Detail of lettering above the entrance doors.